Wow. That person sounds awesome. Too bad managers like that are few and far between, and with the ever-changing world of digital marketing, it's hard to find anyone that can handle the day-to-day tasks involved with marketing while staying on top of evolving trends and building a qualified team. If you're in a leadership position in your New York company trying to decide who to hire to handle these critical marketing decisions, it makes sense that you would want to bring on an internal resource that will understand your business and help create a strategy to help you reach and exceed your goals. But more and more companies are finding the vast range of marketing tasks that need to be completed on an annual, monthly, weekly, and daily basis are just too numerous and complex for any one person, or even a whole team, to be able to do effectively and quickly enough to reach those goals. The rise of inbound marketing gives New York companies like yours a terrific alternative. Instead of outsourcing your marketing efforts to a random mix of SEO "experts", overseas bloggers, and college-age social media "pros," hiring an experienced inbound marketing agency brings all the elements needed for success under one roof, and the right agency can help build a dynamic website, execute savvy digital campaigns, and enable your sales team to grow the business like never before. 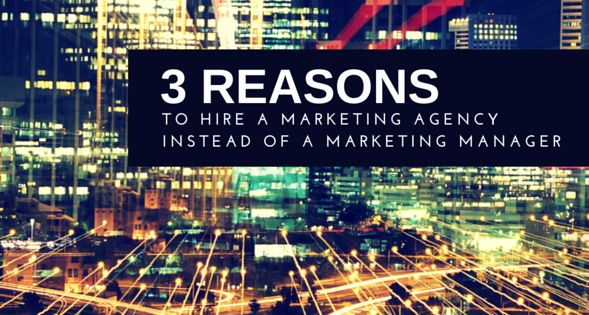 Here are three reasons an inbound marketing agency is a much better use of your budget than hiring a marketing manager. There are lots of highly qualified marketing managers in the New York area, and lots of them do amazing work. But they are just one person, and often they have to be a jack-of-all-trades and master of none. 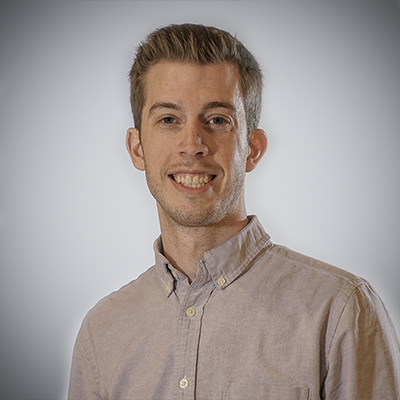 Being stretched too thin to handle all the tasks and strategy needed to successfully market your business online isn't a good place to put any marketing manager. An inbound agency brings experts from every field together to create a custom campaign strategy to reach goals. With an inbound strategist, an SEO expert, a project manager, social media manager, content creator, and designer all on a team together working on your campaign, suddenly the level of expertise and experience available is multiplied many times over vs. a marketing manager. Why have one person trying to do 6+ jobs when you can get them all working for you for the same cost? Most importantly, an inbound agency does marketing for businesses like yours all day, every day. While your campaign is going to be tailored to your exact needs and goals, the experience that comes from seeing what works for similar companies and industries helps avoid the trial and error that can slow down your marketing efforts. You know what you're looking for from your web, marketing, and sales this year, and an experienced inbound agency is going to help you achieve those goals faster than hiring a marketing manager. Improving the presence and effectiveness of your website for conversions and goal achievement through redesign, restructuring, SEO management, and content creation. Implementing campaign strategy to drive key performance indicators like lead generation and traffic growth through tools like email marketing, social media, PPC, and blogging. Integrating a dynamic sales methodology & system to increase likelihood of new customer acquisition and unify marketing and sales efforts toward common goals. Show me a marketing manager that is going to walk into your office with that kind of battle plan and I'll be very impressed. The world of digital marketing is changing too rapidly to rely on one person to evolve your strategy. You can't afford to spend your valuable budget on people or processes that aren't going to make a real impact on your business. Modern digital marketing isn't just about the number of hours you spend trying to reach your goals, it's about spending your time most effectively. The best marketing managers can learn and adapt to changes in strategy, but it takes them time to get up to speed. When you already feel you're behind the times with your digital marketing, getting someone acclimated to your new website management tool or social media platform will only slow things down more. When you hire an inbound marketing agency, you're getting time spent in the right places to make a real difference for your company. No more throwing 40 hours a week at the web and seeing what moves the needle. With a smart agency you get smart time management, and a scope of work built to follow the compass towards your goals, unlike an in-house manager counting the hours till 5 PM or freelancers trying to rack up a big invoice. Agencies know where to spend time in the first six weeks of a campaign, when to focus on building your content base and when to open up the PPC budget. Do you trust your marketing manager knows how to spend their time wisely? Bringing in a marketing manager may seem like the right move, but the reason I see so many job postings looking for one is because great marketing managers are hard to find. There's a lot of marketing agencies out there, but only a handful of certified inbound agencies that can provide your company with the complete service package that Revenue River can. If you're currently looking to hire a marketing manager, take some time to reach out to an inbound marketing agency and see what they think about your needs. Worst case scenario, you learn more about what you need to be doing and how to be successful. When you compare inbound marketing agencies to hiring a marketing manager, you can't beat the experience, value, and effectiveness of the right agency.